The day started out with me getting ready almost on time. Made my coffee and breakfast. Loved on the little man, Gavin. Gathered my work supplies and headed out the door. As I was loading the car it happened. BOOM! My coffee mug with my wonderful coffee from Target, crashed to the concrete floor, cracking it and rolling under the car, spilling my liquid gold. I retrieved the mug. Said the proper farewells and buried my 18 oz mug. 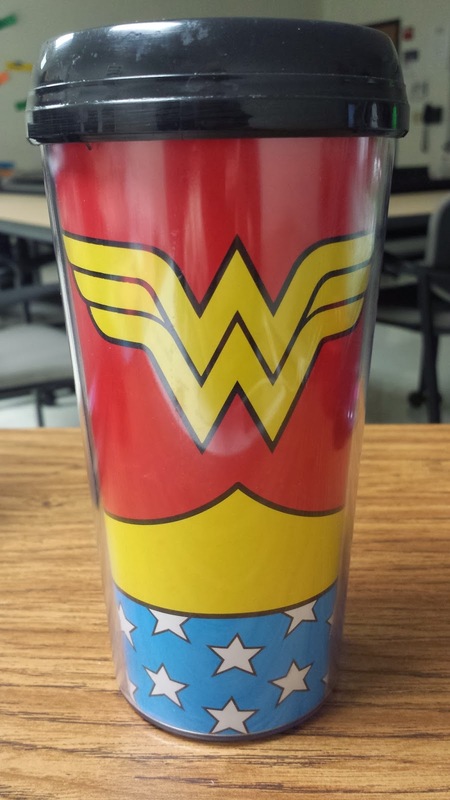 Grabbed my Wonder Woman mug, my last Kurieg cuppa cuppa, and dashed to work. Late. Again. On a morning meeting day. Great. So here we are. Wondering what the day has in store for me. Praying. Begging for an easy button because my day does not end until 6:30. Back to back meetings after work. Some how I need to be two places at once. 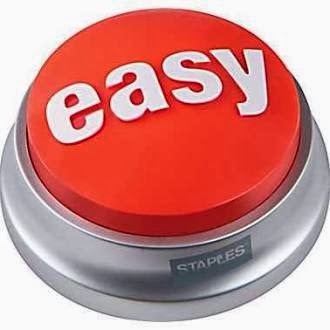 Wouldn't it be awesome to have that easy button to push and all will be right with the world? It is not that easy though. So I will carry on and go forth hoping for a better day. Great now I have ADD. I am thinking of the song "Carry On My Wayward Son". This should be an interesting day. I know this blog has been random and all over the place. Kinda like what is going on in my head. Welcome to my world today. Not always pretty, neat and perfect. Kinda messy, random and out there. Enjoy the ride!